Vic got slapped around a bit, John got punched, and Mike ended up with 24 stitches. Pretty sweet, and all in the first hours! 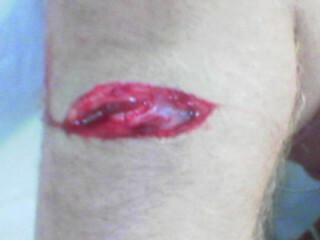 My weekend was great, and feel free to bring that fact up if you run into someone with a huge scar on their right arm!